Studying a PhD is a significant undertaking, and one that requires a great deal of trust and co-operation between the PhD candidate and the academic staff who supervise them throughout their journey. Studying at the right university is extremely important, as is working with suitably qualified staff. 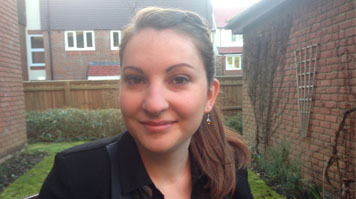 Morgane has since enjoyed considerable success with her studies, winning the Michal Lyons Award for a research poster she presented at the 2015 LSBU Research Summer School. She is also eagerly looking ahead to two conferences she has been accepted onto. Beyond her studies, Morgane hopes that the experience she gains as part of her PhD will help her find work as a researcher for a political party, MP, media outlet, research group or think tank. “I’d like to use the skills and knowledge I have acquired at LSBU to investigate current political and media issues around the world,” she says.